He has been criticized for not having a concrete proposal until less than two weeks before the election. Republican nominee for governor Ron DeSantis surprised a statewide audience during his final debate with Democrat Andrew Gillum on Wednesday evening, when he said he had released his health care plan on his website. DeSantis has been criticized in the past for not having a concrete proposal on the issue. But by the time of the debate, less than two weeks before the election, there was a featured page on his campaign site. Some highlights: DeSantis said he "believes that no person should be denied access to medical care based on the existence of a pre-existing condition." DeSantis, a former U.S. House member, has faced questions in both debates about his votes in Congress to repeal the Affordable Care Act (also called "Obamacare"), which required insurance companies to cover people with pre-existing conditions. But in his plan, DeSantis adds that "should Congress repeal the [ACA] law, Ron DeSantis will work to ensure hard-to-insure Floridians with significant health needs have access to coverage by creating a more diverse, robust insurance market that will enable and encourage Floridians to buy insurance before they get sick." DeSantis also said he plans to "finish implementing Florida's medical marijuana constitutional amendment," which was approved by more than 70 percent of voters in 2016. Legislators passed a bill implementing that amendment the following year, but the state's health department has lagged in setting rules and regulations governing certain portions of the law. Among the issues entangled in several ongoing lawsuits over the law is whether or not medical marijuana patients should be allowed to smoke the drug — the Legislature's implementing bill bans it. Gov. Rick Scott has resisted allowing smokeable forms of the drug, saying it could be a gateway to recreational use. 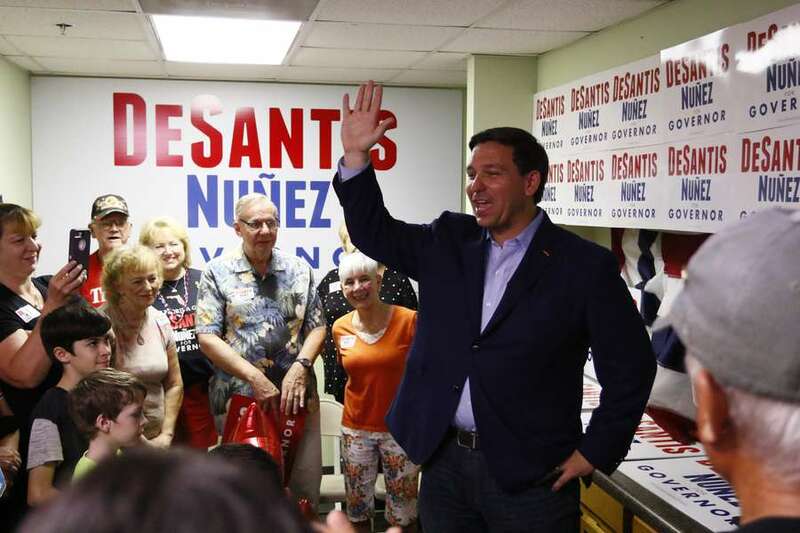 DeSantis has said in the past that he thinks the state should enact the "will of the voters." DeSantis also vowed in his platform to "keep Florida's network of safety-net hospitals strong" — referring to the network of hospitals including public and teaching hospitals that serve a higher percentage of Medicaid patients. The Florida House and Senate have sparred in recent years over how to distribute Medicaid reimbursement funding among hospitals in the state — the current system grants larger payments to 28 hospitals that currently serve the highest percentage of Medicaid patients. But DeSantis reiterated a longstanding opposition to Medicaid expansion, a signature issue of Gillum's. DeSantis' platform reiterates the state's Medicaid managed-care model, "which has helped to curb the growth of that entitlement program."